SmartPlastic founder Tim Murtaugh was recently interviewed on a “Bloomberg Market Minute” segment concerning the dilemma with plastic straws. SmartPlastic has recently introduced a fully biodegradable plastic straw in response to growing environmental concern and the banning of plastic straws in several cities. Listen to the Bloomberg interview to better understand how SmartPlastic’s new technology fits into the equation. Smart Plastic Technologies, LLC, is a specialist in the development, production and marketing of unique additives for use in polymers which provide biodegradation, antimicrobial, antifungal, production tracing and film thickness reduction properties in finished products. The Company is pleased to announce the release of an Oxygen Scavenger Additive. Developed by SPT with extensive independent testing, this FDA approved technology has now been released to the market. It is an innovative fresh food oxygen scavenging prolonger that extends the shelf life of fruit, meats, dairy and bakery products. Introduced into packaging film at a 1-3% inclusion it is economical and efficient. Its presence in film now allows the removal of all typical oxygen scavenger devices in packaging. “Smart Plastic Technologies is very pleased to provide this sophisticated technology to the food packaging industry. It represents another innovative SPT technology developed in response to market need. The industry has embraced it with great enthusiasm.” said Tim Murtaugh, CEO of SPT. Airport security is there to protect you, but it may also give you the sniffles — or worse. Scientists say that a common technique for applying hand sanitizer, one recommended by the Centers for Disease Control and Prevention, is inferior to an alternative method with twice as many steps. SmartPlastic Technologies cited by Chicago Tribune in plastic straw issue. A growing movement against plastic straws is playing out in Chicago, with restaurants and museums banning the items, and a South Side straw factory urgently seeking an environmentally friendly alternative for slurping down a soda or chocolate shake. The single-use plastic straw — colorful, functional and handed out in bunches — has suddenly shifted from consumer staple to scourge, projected by some critics to foul ecosystems for an eon. Scores of Chicago-area restaurants have already shunned plastic straws, along with colleges and a number of cultural venues, such as the Shedd Aquarium. This spring, the White Sox became the first Major League Baseball team to ban plastic straws from their stadium. Elsewhere, municipalities are taking action, with Seattle and Miami among U.S. cities that have restricted plastic straws. New York City is considering a similar ban. 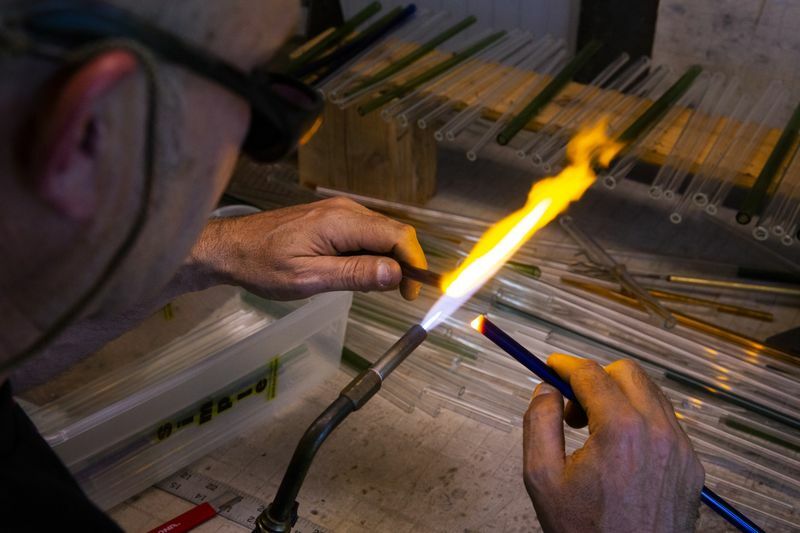 The plastic straw pushback may be good news for environmentalists, but it doesn’t bode well for Best Diamond Plastics, a 10-year-old, minority-owned Chicago manufacturer whose primary business is supplying drinking straws to McDonald’s, Wendy’s, Portillo’s and other restaurant chains. Generally not biodegradable or recyclable, hundreds of millions of plastic straws are used in the U.S. every day, ending up in landfills, littering the landscape or floating away. Environmentalists say seafaring straws are ingested by marine animals and are one of the top 10 pieces of garbage polluting the oceans. At least 8 million tons of plastics leak into the world’s oceans each year, according to a 2016 report by the World Economic Forum. By 2050, there could be more plastic by weight in the world’s oceans than fish, according to the report. A 2015 University of California at Davis study found plastic debris in a quarter of the fish sold for human consumption. The tipping point for many was a 2015 YouTube video of marine biologists in Costa Rica removing a plastic straw that had become lodged up a sea turtle’s nose. More than 26 million views later, there has been a major shift in consumer sentiment against the once-heralded innovation. Marvin Stone is credited with inventing the modern drinking straw, patenting a process in 1888 to wind paper into a tube, according to the Lemelson Center at the Smithsonian Institution’s National Museum of American History. The advent of the plastic straw in the 1960s quickly supplanted the easily collapsed paper straw as the implement of choice in restaurants and other venues. But the paper straw is back on the table, along with bamboo, metal and other materials, as the food service industry scrambles to find alternatives to plastic. Chicago-based fast-food giant McDonald’s, one of the world’s largest users of plastic straws, isn’t quite ready to make the change. Shareholders voted down a proposal last month for McDonald’s to issue a report on the business risks of continued use of plastic straws, a call to action that the board considered unnecessary in light of ongoing packaging sustainability efforts. “As part of our efforts towards this goal, we are working to find a more sustainable solution for plastic straws globally,” McDonald’s spokeswoman Andrea Abate said in an email Monday. In U.S. markets that have restricted plastic straws, McDonald’s provides compostable straws in some places and straws upon customer request in others, depending on the regulations, Abate said. She said McDonald’s is looking to have its straws come from renewable, recycled or certified sources by 2025. McDonald’s straw supplier Best Diamond Plastics operates a 73,000-square-foot manufacturing facility in the Calumet Business Center in the Pullman community area on Chicago’s Far South Side. It has 76 employees, a big-name customer base and a major threat to its business model, said Tolliver, the company’s president. “It would be a very negative situation for our company if the large quick-service restaurants decided they were no longer going to use plastic straws,” he said. Tolliver, who grew up on the South Side, launched the company in 2008. 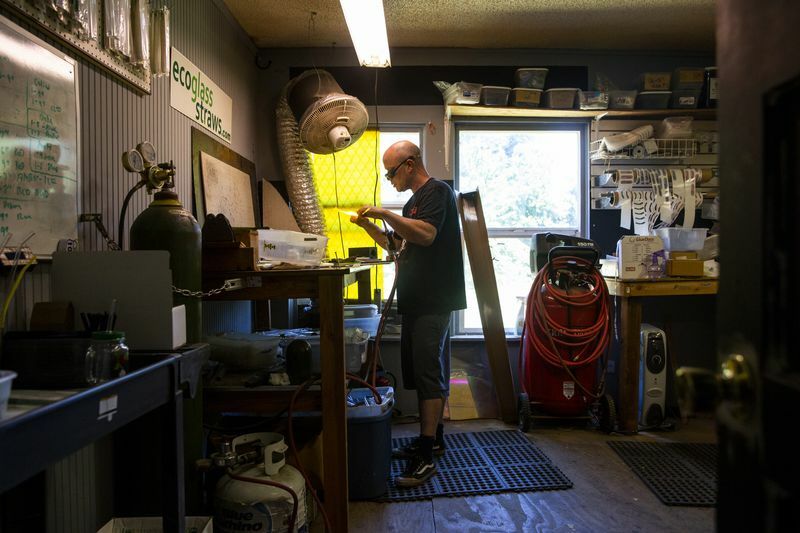 While he has yet to lose any business as a result of the plastic straw pushback, he is facing growing concern among his customers. Best Diamond is working with Smart Plastic Technologies, an 8-year-old Knoxville, Tenn., company with a north suburban Wheeling facility that produces an additive to make plastic biodegradable. Approved by the Food and Drug Administration, the bioassimilation additive will make a plastic straw biodegrade within 18 months, said Tim Murtaugh, CEO of Smart Plastic. The additive, a manganese-based formulation, adds less than a half-penny on the dollar to the production cost, he said. Smart Plastic is working with “numerous supermarket chains” that use the additive in their plastic grocery bags to make them fully biodegradable. Best Diamond has yet to use the additive, but is floating the idea with customers. Many Chicago-area venues have already ditched plastic straws. Last year, the Shedd Aquarium launched a campaign to limit plastic straw use called #SheddTheStraw, which has gathered momentum and now includes more than 100 Chicago restaurants. Inspired by a Shedd ballpark promotion, the White Sox decided to eliminate plastic straws in April, switching to paper straws at Guaranteed Rate Field. The team and its partners project the move will keep more than 215,000 plastic straws from being used this season. Reifert said the team switched to bottled soda several years ago, making some straws unnecessary and the transition a little easier. The ballpark serves only one beverage with a plastic straw — the Frozen Yard, which comes in a tall plastic glass. 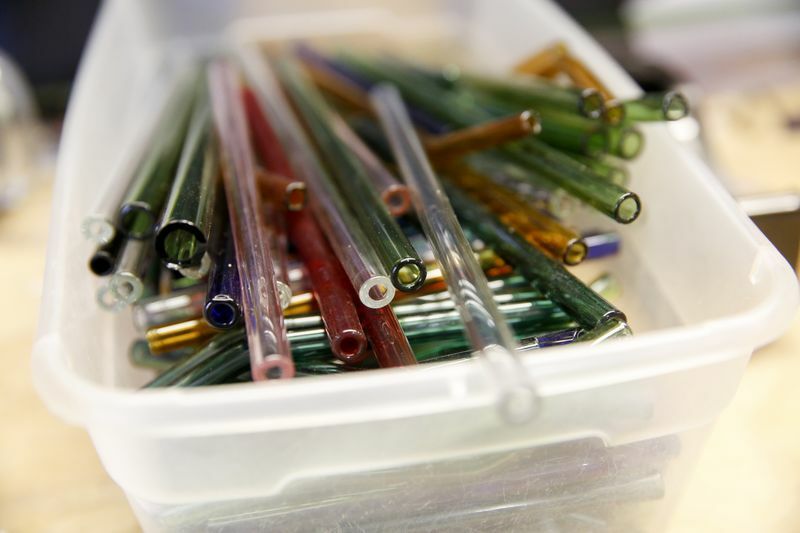 “They haven’t yet found a paper straw that’s long enough,” Reifert said. Bon Appetit, a California-based food service company, announced late last month that it was phasing out plastic straws at all 1,000 of its client cafes in 33 states, including sites at the University of Chicago, Art Institute of Chicago and west suburban Wheaton College. The company plans to use up its existing supply of plastic straws while it secures a national distributor to supply paper straws to all of its locations. The changeover is projected to be completed by 2019. “Certainly the worst thing to do would be to just throw away the plastic straws,” said Maisie Ganzler, chief strategy officer for Bon Appetit. Plastic straw proponents remain. Lynn Dyer, president of the Foodservice Packaging Institute, an 85-year-old industry trade association, touted sanitary and convenience benefits, while warning against laws restricting their use. Scott DeFife, vice president of government affairs for the Plastics Industry Association, likewise argued against banning straws in response to environmental concerns. For Best Diamond Plastics, the straw solution needs to include some form of its namesake product, and time may be running out. Leave a Comment on SmartPlastic Technologies cited by Chicago Tribune in plastic straw issue.